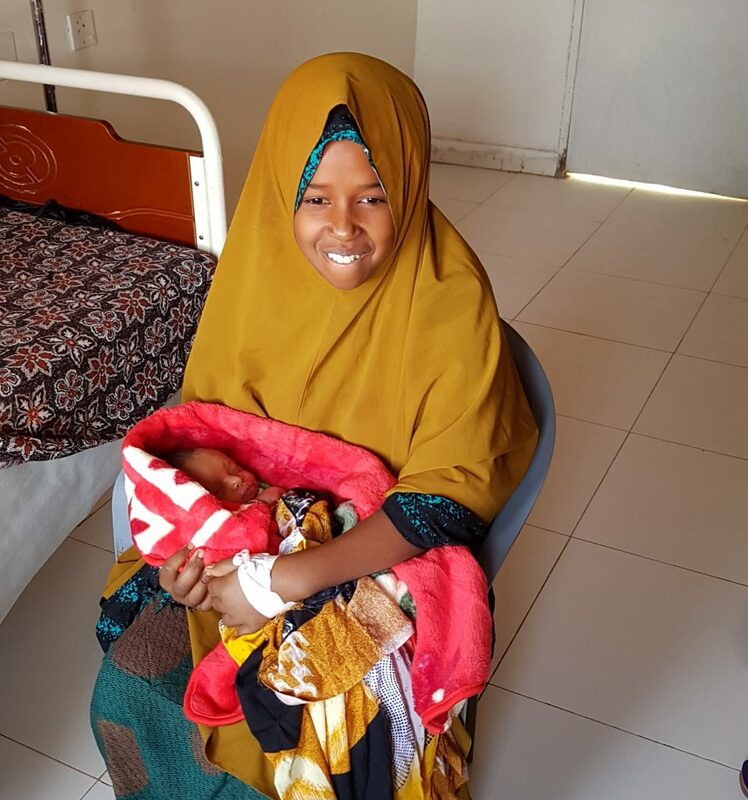 Meet Anfa, an 18-year-old Somali woman who recently gave birth to her first child through a treacherous journey to new motherhood. Anfa’s home of Somalia has one of the highest maternal mortality rates in the world, with one out of 12 women dying from pregnancy-related complications—often because she lacks access to maternal health care. Here, persistent cycles of droughts, floods and conflict continue to compound deteriorating humanitarian conditions for vulnerable young children and women. Like many young women, Anfa did not know that she needed regular checkups and screenings to ensure that she and her baby were healthy, and she only attended an ante-natal care session once. At home on the day of her delivery, Anfa experienced symptoms of eclampsia, a condition in which one or more convulsions occur in pregnant women suffering from high blood pressure. This risky condition is often followed by a coma, posing a threat to the life of mother and baby. Anfa’s worried mother and brother rushed her to a nearby hospital—but it was not well-equipped to manage her condition. It had been several hours since Anfa had first displayed the symptoms of eclampsia, and she was unconscious. The nurses referred her to Ibado hospital, where International Medical Corps provides both Basic Emergency Obstetric and Newborn Care (BEmONC) and Comprehensive Emergency Obstetric and Newborn Care (CEmONC) services. 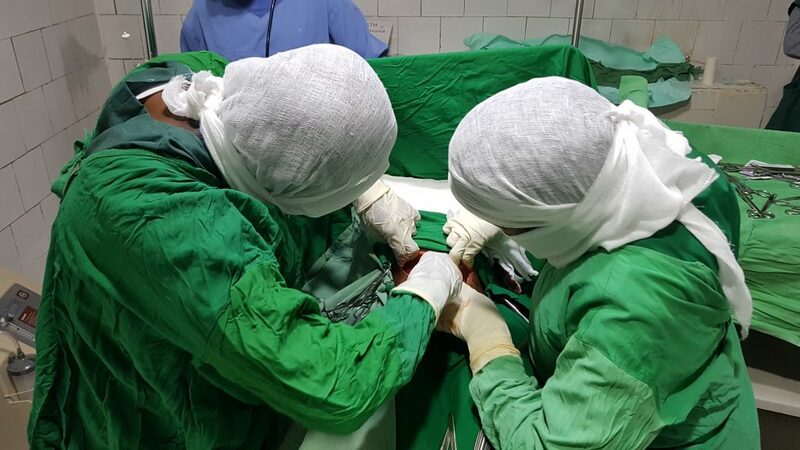 International Medical Corps doctors conduct Anfa’s emergency cesarean surgery, shortly after she was rushed to the hospital. The emergency surgery took approximately 90 minutes, after which a healthy baby boy, Mohamed, came into the world. Anfa’s mother and brother, together with the International Medical Corps doctors, celebrated the successful operation and the two lives saved. The family’s joy briefly turned to worry, however, when baby Mohamed did not cry. But after several resuscitations from the pediatric team, he let out a loud cry! When she woke up, Anfa was overjoyed to find herself on the hospital bed with her newborn baby next to her. Tears of happiness could be seen trickling down her cheeks as she looked at Mohamed. Anfa and Mohamed were taken to the recovery ward, where they received care for nine more days. Anfa regained consciousness three hours after the surgery and recovered in Ibado under the supervision of an International Medical Corps team. The World Health Organization estimates that 830 women die every day worldwide from preventable causes related to pregnancy and childbirth. Most of these cases occur in developing and poor countries, especially in the rural areas, where access to healthcare is limited. 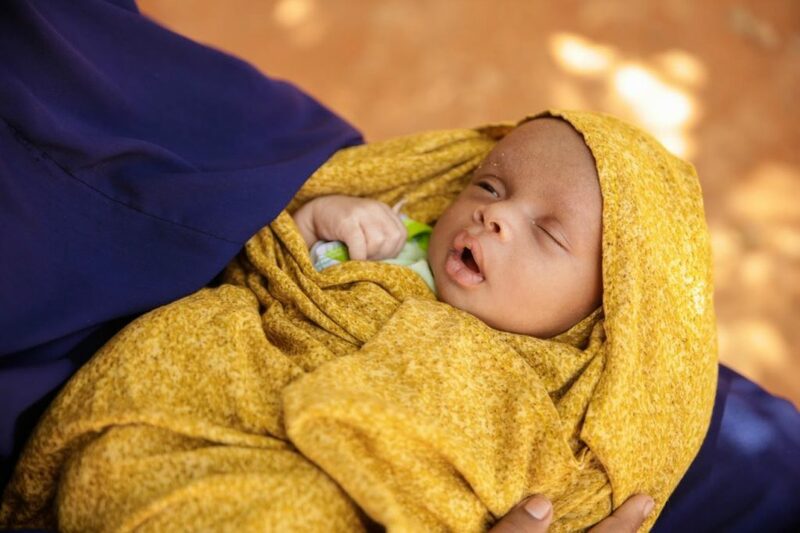 International Medical Corps is on the ground improving access to much-needed emergency obstetric and neonatal healthcare in hard-to-reach areas of Somalia to save the lives of mothers and their children. Since January 2018, International Medical Corps has facilitated more than 5,400 safe deliveries in Somalia.